Leighton Rubbish Disposal is a minor waterways place minor waterways place place on the waterways major waterways place village town city on the Grand Union Canal (Grand Junction Canal - Main Line - Gayton to Brentford) between Willowbridge Bridge No 99 (6 miles and 4 furlongs and 5 locks to the northwest) and Marsworth Junction (Junction of Grand Union Aylesbury Arm with Main Line) (8 miles and ¼ furlongs and 11 locks to the south). The nearest place in the direction of Willowbridge Bridge No 99 is Grant&apos;s Wharf (Infilled basin); ¼ furlongs away. The nearest place in the direction of Marsworth Junction is Leighton Linslade Visitor Moorings (Site of Charity Wharf (Offside)); ½ furlongs away. 20 High Street, Leighton Buzzard, LU7 1EA — 452 yards to the east. 9 New Road, Leighton Buzzard, LU7 2LS — 168 yards to the northwest. Leighton Buzzard — 1371 yards to the east. Wing Rd, Leighton Buzzard, LU7 2NN — 265 yards to the southwest. The Old Fire Station, Market Square, Leighton Buzzard, LU7 1EU — 657 yards to the east. Brantoms Wharf, Leighton road, Leighton Buzzard, LU7 1LA — 89 yards to the northeast. Leighton Buzzard — 1154 yards to the southeast. 2 Soulbury Road, Leighton Buzzard, LU7 2RL — 420 yards to the northwest. Linslade — 326 yards to the west. Leighton Buzzard, LU7 2 — 184 yards to the southwest. 13 Wing Road, Leighton Buzzard, LU72 — 136 yards to the northwest. Leighton Buzzard — 1611 yards to the west. 15 Wing Road Linslade, Leighton Buzzard, LU7 2NG — 129 yards to the west. Billington Road, Leighton Buzzard, LU7 9JH — 491 yards to the west. Leighton Buzzard — 218 yards to the southwest. Leighton Buzzard — 122 yards to the northwest. Soulbury — 221 yards to the south. 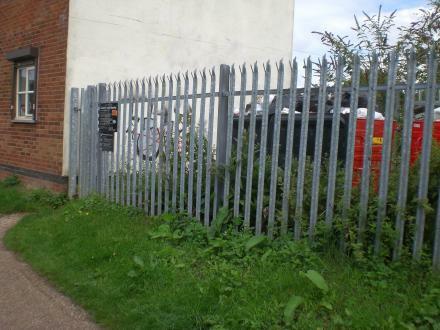 Railway Station, Station Approach, Leighton Buzzard, LU7 2LY — 549 yards to the west. Leighton Buzzard — 1055 yards to the northwest. Leighton Buzzard — 490 yards to the northeast. Linslade — 919 yards to the west. Leighton Buzzard — 1239 yards to the northeast. Leighton Buzzard — 1404 yards to the northeast. Leighton Buzzard — 1615 yards to the northeast. Leighton Buzzard, LU7 1AE — 357 yards to the east. Leighton Buzzard — 1334 yards to the northeast. Brantoms Wharf, Leighton Buzzard, Leighton Buzzard, LU7 1LA — 58 yards to the north. 44-46 Grovebury Road, Leighton Buzzard, LU7 4SW — 1188 yards to the southeast. 50 High St, Leighton Buzzard, LU7 1EA — 604 yards to the east. Leighton Buzzard — 605 yards to the north. Leighton Buzzard — 1539 yards to the east. Leighton Buzzard — 256 yards to the east. 1311 yards to the southeast. Leighton Buzzard — 584 yards to the southeast. Adam Wetherall, Leighton Buzzard, LU71LA — 83 yards to the northeast. 7 Old Road, Leighton Buzzard, LU72RB — 206 yards to the northwest. 207 Bideford Green, Leighton Buzzard, LU7 2TS — 1558 yards to the west. Linslade — 1624 yards to the west. Leighton–Linslade — 142 yards to the east. Leighton Buzzard — 1596 yards to the northeast. Riverside Walk, Leighton Buzzard — 782 yards to the north. 33 Market Square, Leighton Buzzard, LU7 1EU — 649 yards to the east. Unit 2, Leighton road, Leighton Buzzard, LU7 1LA — 93 yards to the northeast. Milton Keynes, Bedfordshire, Buckinghamshire, Northamptonshire and surrounding areas., Leighton Buzzard — 139 yards to the southwest.